Careers at BiggsKofford CPA Firm — We’re Hiring! There are many great reasons to join the BiggsKofford CPA Firm team. Please review our general information packet for details and read our Employee Testimonials to learn more about the culture at BiggsKofford. Curious about relocating to Colorado Springs? Take a look at this website and see why many choose Colorado Springs as their new home. Are you ready for Partner-level advancement? Due to sustained and rapid growth, BiggsKofford seeks a partner-track CPA to join our firm as an Audit Manager. Individuals with the goal of rapid advancement and seeking responsibilities to become a partner in a CPA firm within a few years are desired. Candidates should enjoy working with entrepreneurial clients and audits of closely-held companies. BiggsKofford is a solution-oriented firm that works as “entrepreneurs serving entrepreneurs”. This leads to projects assisting clients with any number of business matters. Candidates for this position should desire to consult with clients on many aspects of closely-held business, well beyond the audit engagement. BiggsKofford enjoys an energetic work environment where efficiency and self-management take precedence over mandatory weekends and TPS reports. We have an average partner age of 47 and non-partner average of 32, demonstrating our youthful firm culture. While we handle complex and challenging projects, we strive to maintain 50-60 hour work-weeks during busy season with traditional 40 hour weeks the remainder of the year. Consider relocation to beautiful Colorado Springs. The “Springs” is home to the US Olympic Training Center, Air Force Academy, Broadmoor Resort and Pikes Peak – to name a few of our community assets. Often named one of America’s most active cities, we offer 300+ days of sunshine, golf days in July and January, 10-minute drive to mountain trails and wilderness, day-trips to world-class ski resorts, arts and cultural events, and more in this family-friendly city. The Audit Manager’s duties include, but are not limited to: building and maintaining client relationships, managing audits with numerous engagements running simultaneously, and client billing. An Audit Manager also plays an important role in the development, coaching and supervision of employees as well as participating in firm growth and management. Candidates should seek opportunities to expand learning. Minimum 5+ years related experience. Strong problem solving skills. • Exceptional verbal and written communication skills. Demonstrated aptitude building client relationships and leadership ability. Project management ability and experience. 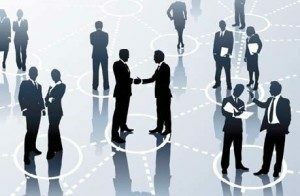 Business development ability and experience. Working knowledge of audit systems and Microsoft Office programs. 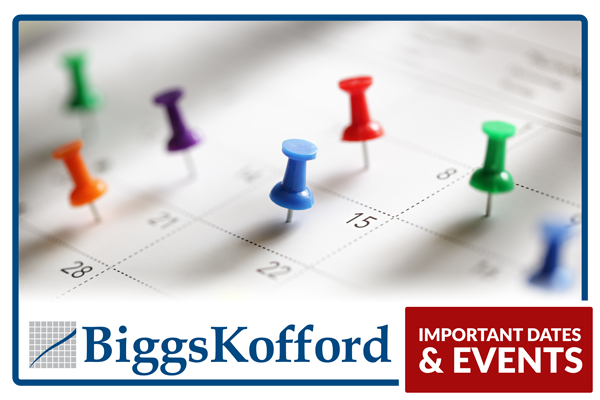 When you join the BiggsKofford team, you will work primarily with clients who are entrepreneurs. Each of these clients demands a relationship with his or her business advisors that is based on trust. We are business professionals serving business professionals. You will see that our team is absolutely focused on helping our clients succeed (take a moment to review our Client Guarantee). At BiggsKofford, we pride ourselves on the pursuit of excellence. BiggsKofford seeks career-focused, goal-driven candidates with two to five years of public accounting experience, specifically working with business clients. Working primarily with clients who are entrepreneurs. You will see that our team is absolutely focused on helping our clients succeed (take a moment to review our Client Guarantee). At BiggsKofford, we pride ourselves on the pursuit of excellence. Please send your resume to info@biggskofford.com. Housing Allowance $200 per each full month and $100 per each half month. There are several apartment complexes within walking distance to the office. (The housing allowance is only for those individuals who have a housing expense and are relocating from outside El Paso and Teller counties.) Travel, housing and living expenses are paid by the intern. Work Hour Expectation 25 to 40 hours per week; more than 40 hours per week optional. Position requires working through Spring break. Post-internship Hiring Many of our interns are offered a full-time position as an Associate with our firm after completion of the internship and graduation with a four-year accounting degree. The job of the intern is both challenging and rewarding. With experience and supervision, individuals at this level can assume many of the responsibilities of Associates. However, advancement to higher levels of the professional staff will require the completion of a four-year college degree with either a major in accounting or an equivalent number of accounting and business courses. Our Team Members are the single most valuable asset of our firm. You will find an open-door policy that provides you with support, direction and insight into the field of public accounting. BiggsKofford is located in beautiful Colorado Springs, Colorado. We are one of the largest CPA firms in our city and have been providing professional services to our clients for over 35 years. Considering a major in accounting or becoming a CPA? Here’s a good informational resource for you from the American Institute of Certified Public Accountants (AICPA). To be considered for a position as part of our team, send us your résumé and salary expectations. Email Us.